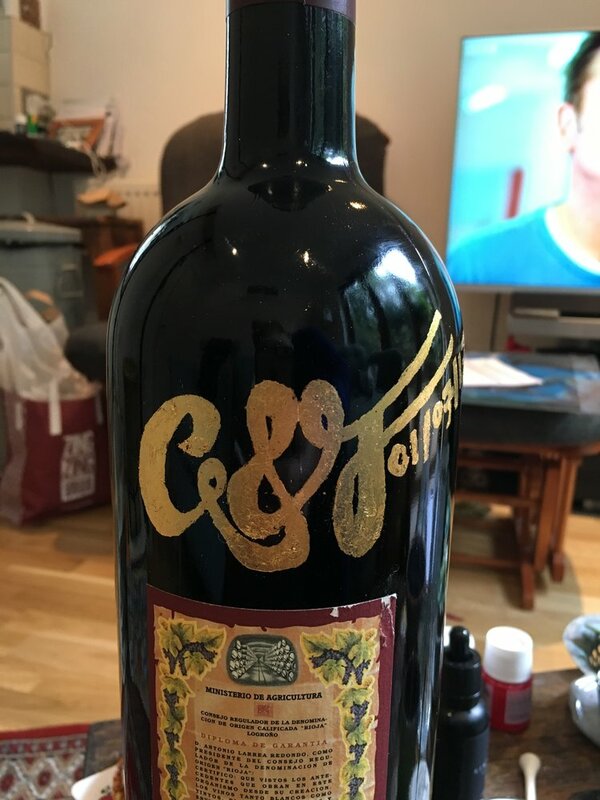 If you can supply the bottle, I can do the motif! 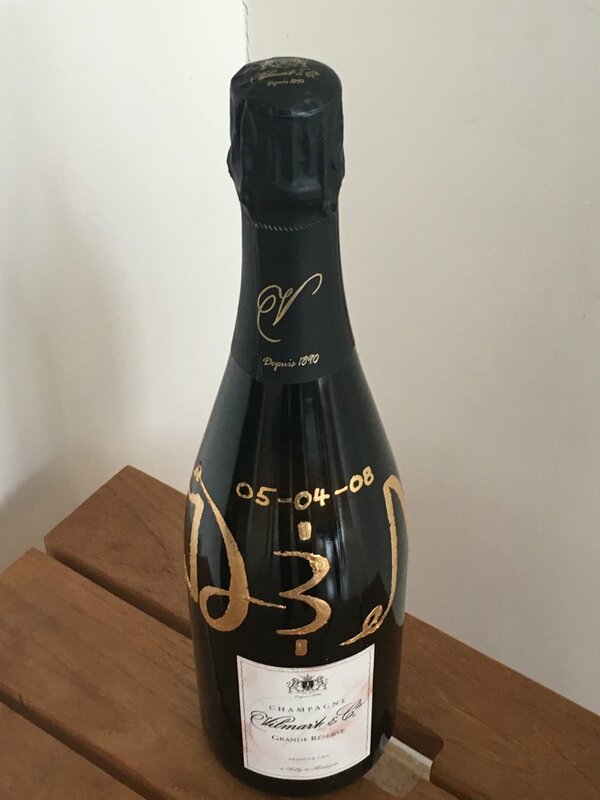 Beautiful bottle for a big celebration. Also great as a wedding gift. A unique and special Birthday present! We did this selection of gilded alphabet tiles for a couples wedding anniversary...super cute! We did this as a gift for a couples 10 year anniversary. We created this 'E' tile for a little Edward's room. Simple, elegant and adding a pop of colour to any indoor or outdoor space. This making us think that maybe we should add these to our permament line! This customer loved our plant pot but had a particular plant in mind. We therefore created a large plant pot for them and instead of our usual gold gild added a copper gild instead. We love the outcome! 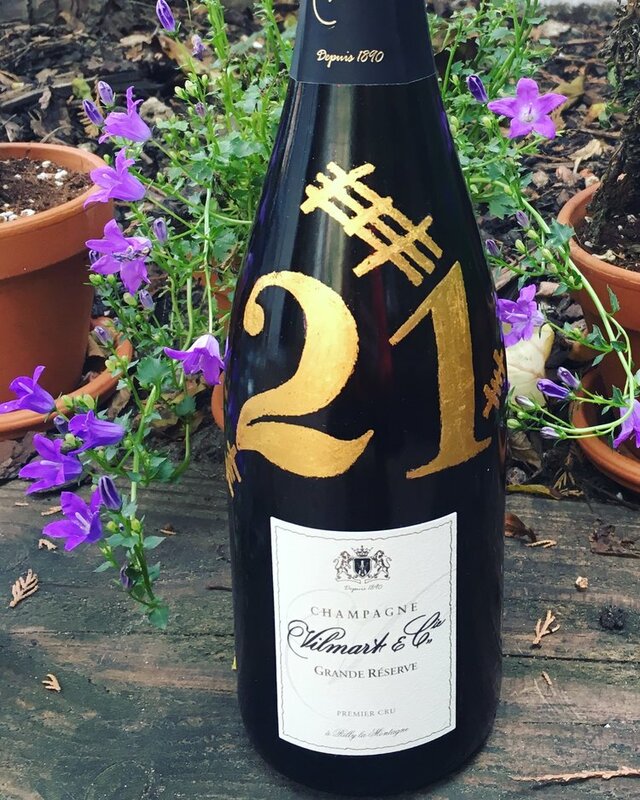 We created this to celebrate a 21st birthday present. We have since been told that the bottle has been drunk and adapted into a candlestick holder! When creating birth plates we like to learn a little about the little one that it is for. As we want the imagery to represent the spirit of the little one. Finished with gold leaf...of course! This little one is wild and very girly. She loves food and nature. Finished with gold leaf. We can add couple's wedding emblems or initials to bottles. These make excellent presents and they are super personal. 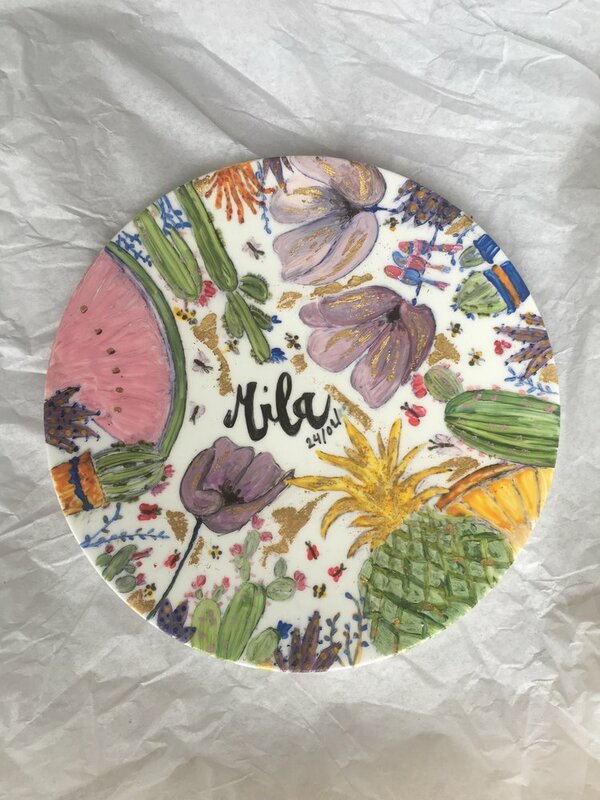 Personalised plate for a couples holiday home in Morocco.